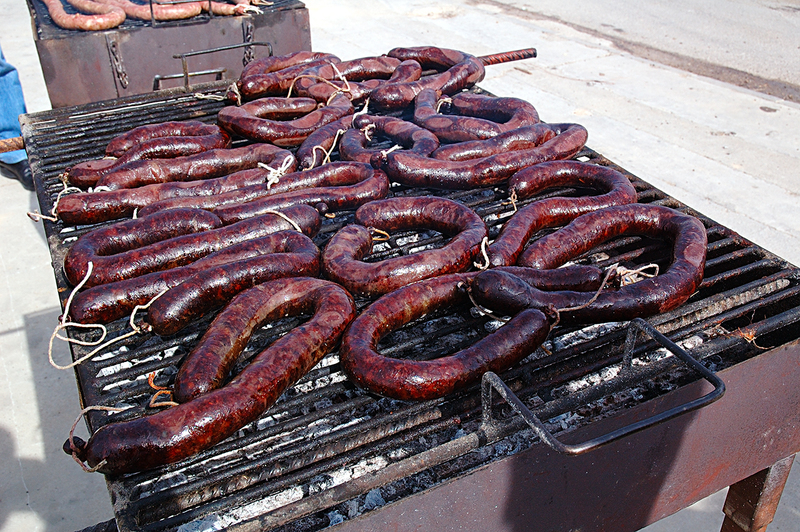 More on Catalan sausages. 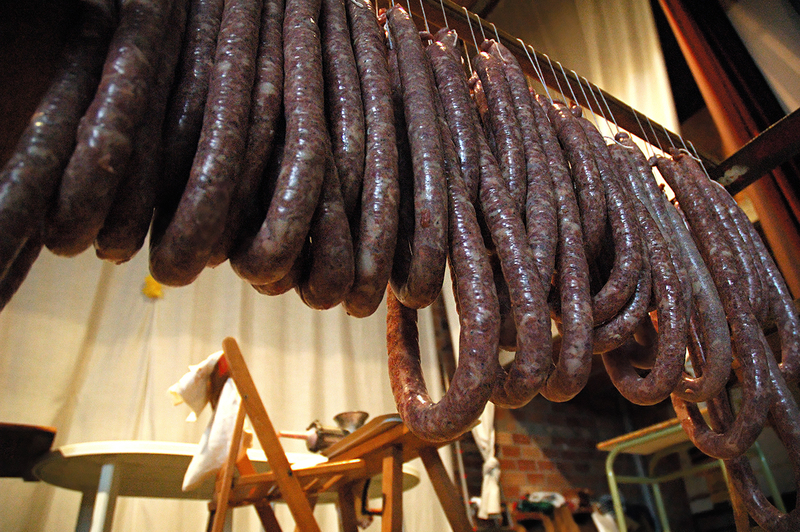 The most common products are the white sausage (botifarra blanca) which requires only meager meat, the blood sausage (botifarra negra) with fat and blood and fuet, a thin, cured dry sausage. Blood botifarras are later boiled, fried or grilled and served for lunch accompanied by salad, pork meat and red wine. I have to thank people from Vallverd d'Urgell, Lleida who gently allowed me to take pictures, witness the poor pig slaughter or matanza and invited me for a succulent lunch. The sausage looks good enough to eat. I'm a meat eater, and even though these would not appeal to everyone, they look delicous to me! Never been to Barcelona but would have loved to go there. The sausage looks delicious. In Norway when I was a kid, we often had blood pudding for dinner. My family has been very big on this delicacy; however, I never could quite find an appetite for it. Great picture, tho. I know some members of my family would salivate over this photo. Botifarra negra: my favourite in Barcelona <3 Delicious!